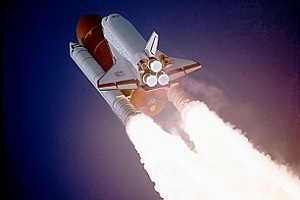 On July 8 2011 the Space Shuttle Atlantis will lift off at Kennedy Space Center for the last time, completing the final countdown for NASA’s Space Shuttle Program and another chapter of space travel for the United States of America. Just as the present day epic quest for space travel concludes, another era for the United States begins with the next generation of spaceships. Designed to lift astronauts from Earth’s gravitational pull and propel them to the International Space Station and beyond, future missions will explore and discover mysteries of our universe. Vangelis Papathanassiou, the Academy Award winning music composer won’t be aboard the Space Shuttle Atlantis during the final liftoff into space set for 11:26 a.m. EDT. 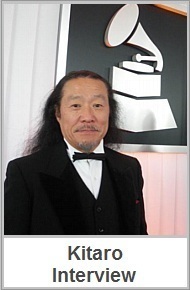 However there are some similarities and an interstellar connection regarding the famous music explorer and the NASA Space Program. 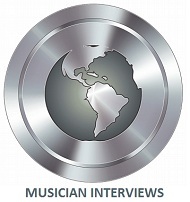 In a NASA interview with the music composer Vangelis, several Mars Odyssey team members familiar with his music wanted to ask Vangelis a few interview questions about his individual connection to Mars and the related space associations with his popular music. 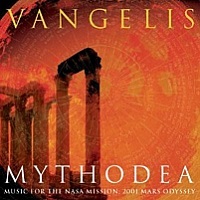 The epic orchestral score by Vangelis entitled; Mythodea: Music for NASA’s Mars Odyssey Mission is the primary topic of the interview hosted by the Mars Odyssey team members, along with several questions regarding his personal viewpoint and the connection of his music arrangement to Mars and space exploration. Mythodea: Music for NASA’s Mars Odyssey Mission is a beautiful orchestration with theatrical opera vocals and dramatic chorus which are in parity with other epic Vangelis scores like the Academy Award winning Chariots of Fire, along with other scores like Blade Runner, 1492: Conquest of Paradise and Alexander. Read the NASA and Vangelis Interview about Mythodea, conducted by NASA Mars Odyssey team members. Find more at Music World including song videos from Jon & Vangelis and the Blade Runner Trilogy soundtrack on my pages for Vangelis. Space Shuttle photo courtesy NASA – Big Stock photo rkasprzak. Blade Runner Trilogy Soundtrack by Vangelis. Movie Soundtracks & Film Scores have played an integral role during cinematic moments in film history by transforming a great movie into an award winning motion picture. Time after time, the music chosen provides the effective chemistry to accomplish the movie director’s objective of bringing out the full emotion and depth of an actor’s character identity. The 3 CD Blade Runner Trilogy is another innovative and popular movie soundtrack by Greek composer Vangelis Papathanassiou. Directed by Ridley Scott and produced by Michael Deeley, Blade Runner the movie remains a classic film with a long list of popular actors including Harrison Ford, Daryl Hannah, Rutger Hauer, Sean Young, and Edward James Olmos. 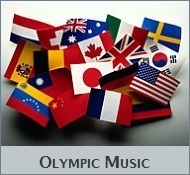 Vangelis is an award winning musician with a long list of movie soundtracks to his credit. The Chariots of Fire movie score is one of high acclaim of course, but Vangelis also composed the entire music score for the epic science fiction thriller Blade Runner. For those who have watched the movie you know the film score by Vangelis is a vital component to the full drama viewers experience while watching this movie. 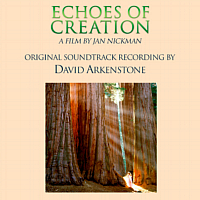 Over the years New Age music has been the perfect music genre for great movie soundtracks, so we can expect this to continue in the future. I feature many musicians who have produced film scores over the years so I wonder which artist will be the next to compose an Academy Award winning movie soundtrack for the film industry. 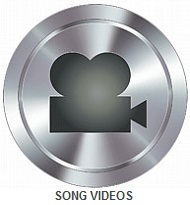 The Blade Runner YouTube song video from the motion picture features a pivotal moment during the movie storyline by using the song Love Theme by Vangelis. The 3 CD Trilogy Series and song Love Theme by Vangelis is a popular cinematic song on rotation now and then at our free online Stars radio player located on the right if you want to tune in. 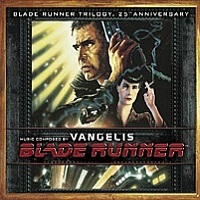 Visit Amazon.com to sample / purchase the Blade Runner Trilogy Soundtrack by Vangelis. 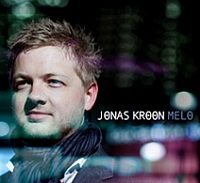 Jonas Kroon has released his first cinematic album during 2011, and it didn’t take very long to answer the essential question of whether I believe his first release entitled Melo would be of interest to my site visitors. Another point that answers the question of whether Jonas Kroon and Melo would be the perfect candidate is the quality of his first album, along with the proven experience he has demonstrated as a music specialist, even though this is technically his first release. 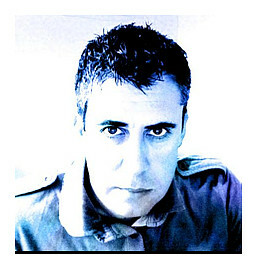 Melo is a 2011 AMAdea Records release having a unique identity of its own character since Jonas had the freedom to compose his first album without the usual constraints of what various clients may have expected for him to produce. The 14 songs represent a renewed focus on creating cinematic music composed to his personal taste and perceptions which has led to a great album. 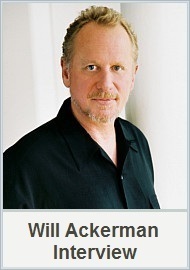 After reading the list of film composers he favored including Hans Zimmer, Danny Elfman and Howard Shore, I couldn’t agree with him more on his choices of top film score composers. Jonas Kroon didn’t have a long track record of earlier releases, chart topping albums or top music awards, but his musical aptitude and what he produced made top honors with me. The new release Melo easily makes my list as a new release to be commended and who is to say what the future holds, so let’s hope we hear more. Along with several other review publicists that have written positive reviews about him, Jonas has earned my respect, for which there is no question. The following musicians are Melo band members performing with Jonas Kroon who provided vocals, keyboards and programing; Jostein Austvik (drums) Alex Braathen (percussion, vocals) Sondre Sandhaug (bass) Goran Obad ( electric guitars, saz, oud, tambura) Mateusz Rostad (violin) Birgit Nerheim (violin) Line Haukland (cello) Silje Karlsen (vocals, flutes) Kjersti Vatnan Ekman (vocals, flutes) Thomas Wicklund Larsen (vocals) Trym Bjonnes (vocals, didgeridoo). 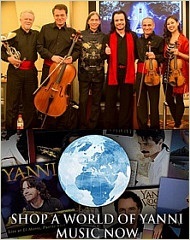 Visit jonaskroon.com to sample / purchase or at Jonas Kroon’s AMAdeaRecords.com page & Amazon.com page. 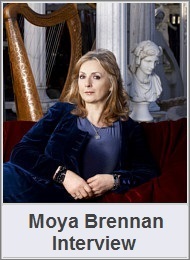 Discover more fine artists at the Bulgaria based AMAdeaRecords homepage. Photo and artwork courtesy Oda Hveem & Jonas Kroon. It’s a great time of celebration for fans of 2002, and I would imagine a time of celebration for Randy and Pamela Copus, the husband and wife duo that are the heart and life force of 2002. After nineteen years as top New Age music producers, Randy and Pamela are nearing a significant milestone in their lengthy music careers by an upcoming 20 year anniversary as an award winning, Billboard charting music duo. 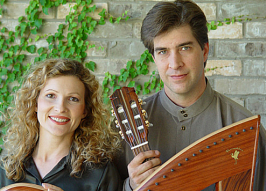 Randy and Pamela Copus of 2002 have just released an exceptional new album titled Damayanti, which is centered around a mythical love story from the distant past. It was nineteen years ago when 2002 first began producing music with their first album titled Wings. Since then, it’s as if their popular celestial melodies have soared among the clouds in an ascending flight of their own. Many would agree the New Age Billboard charting 2002 music duo Randy and Pamela Copus are without a doubt, one of the finest musicial groups producing music today. Their true to life popularity is apparent by the number of times 2002 has been listed as a favorite musical group, having charted 9 times in the New Age Billboard Charts within the past 10 years, equaling 270 weeks total on the New Age charts. 2002 was likewise featured artists in the December 2003 Magazine issue of Year in Review at Billboard by being listed right alongside several other top New Age artists you are sure to recognize including Enya, George Winston, Jim Brickman, Manheim Steamroller and Yanni. Sharing the airwaves and limelight at Billboard with other top music artists does ascertain their prominence and reputation as a chosen favorite for many people. Damayanti by 2002 is on their recently introduced Galactic Playground Music label. The album has 10 opulent songs, and while it is not an immense departure from earlier albums, this bit of info should be taken as good news. You will find Damayanti reveals a wonderful change in tonal atmosphere which does make it stand out from earlier predecessors, plus I imagine it will be another radio favorite on the airwaves. Flight of the Swan is a moving and graceful piece by the free flowing guitar and flute melodies backed by light chorales and steady percussion rhythm. The serene piano and flute pairing in Challenge From Heaven is divine, while the imaginative flute and guitar arrangement in Cycle of Time, Destinies & Enduring Love equally broadcast the celestial elegance which personifies the complete 2002 musical identity. 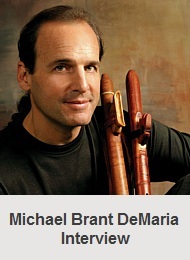 Damayanti was created in comparison like earlier 2002 albums by Randy Copus playing piano, electric cello, guitar and bass, while Pamela Copus played flutes, harp, keyboards and a WX5 wind instrument. On this album however their young daughter Sarah Copus sang some of the vocal parts. Even now with their unending popularity and recognition, 2002 today remain steadfast in their creative ambitions of producing quality orchestrations. Their close attention to instrumental and technical details during every album production seems to result in a complete reinvention of themselves every time, as is the case with their brand new release Damayanti. Like any true to life story with a happy conclusion, I expect 2002 will continue to be a chosen favorite for many people in the years ahead, which should give Randy and Pamela Copus another reason to give pause, reflect, and to celebrate. 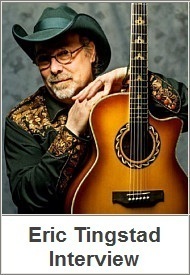 Visit the 2002music.com homepage and then sample / purchase or go to their Amazon.com page. 2002 recently produced an album with Marc Enfroy titled Unconditional, so read more on our pages for 2002 and Marc Enfroy. 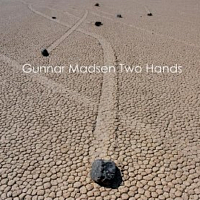 Cover artwork courtesy Cindy Grundsten. Kelly Andrew from Denver Colorado is an admirable composing musician I wrote an album review about recently. 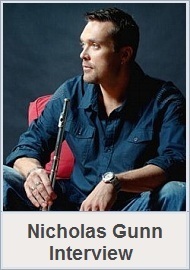 You might recall I spoke very highly of his instrumental debut album titled Olympus. There was a pretty good reason I recommended his first effort to our visitors since Olympus really is one appreciable album! In fact, I had even earlier stated in my album review that Olympus has some of the finest orchestrations I have heard in recent memory, and his classic symphonic music with contemporary instrumentals backed by full percussion, is a music symphony that will stand the test of time. Like all of my album reviews, there shouldn’t be any reading between the lines with that statement. Kelly has a second album with a night to day contrast in style titled Reflections. 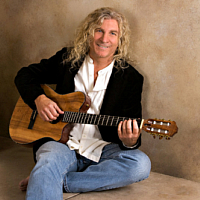 Kelly Andrew is a great musician who is far from being a new composer since he is actually identified for creating a wide array of music having composed and arranged over 35 original singles, some of which were performed and recorded with the University of Colorado Choir. One point I would like to make is that even if Olympus was his debut album, Kelly Andrew is a great composer too, well-seasoned with over 15 years of experience producing his individual brand of music in a variety of influences. 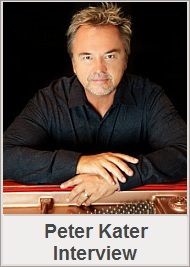 Some of his arrangements are expressions in New Age, Cinematic, Contemporary, Symphonic, Soundtrack, Neo-Classical, World music, and a wide range of original orchestrations. 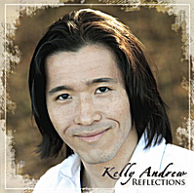 Reflections by Kelly Andrew really did surprise me after listening to this 11 song recording. 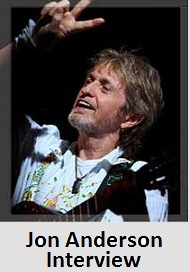 Reflections is a second great album, but the surprise is most apparent in the way he composed the two albums. 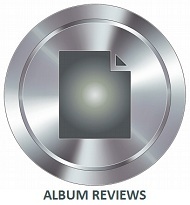 While his first has deep orchestrations and a bolder atmosphere, Reflections is an impressive contrast in style, and it is pretty clear his second album Reflections is even more aligned in the Cinematic or Soundtrack category. The 11 songs are a selection of instrumental ensembles with Kelly Andrew on piano, keyboards and synthesizer. Aditional musicians are; Marcy Baruch (vocals) Randy Chavez (guitar) Christian Teele (percussion) Bijoux Barbosa (bass) Kailin Yong (violin) James Brody (oboe) Rachel Ellins (harp) and Rodney Garnett (flutes). Musicians from the Colorado Symphony Orchestra provided the strings section. 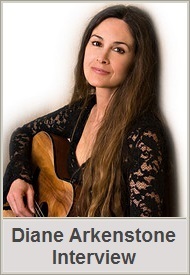 Reflections has a wonderful blending of New Age, Contemporary Instrumental, Symphonic music, and again commendable. Kelly Andrew’s change in direction has produced a second great album, and I would certainly recommend his first and second, with a third appreciable mention being the smooth transition in style conveyed by the artist himself. 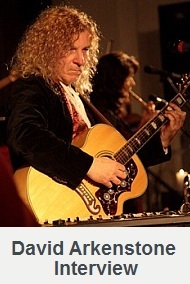 Visit kelly-andrew.com to sample / purchase or visit his CDBaby.com page. 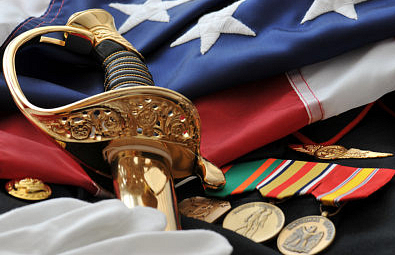 Read our page dedicated to Kelly Andrew. Album artwork by Kelly Andrew. Marc Enfroy is an award winning pianist with a new Cinematic Piano album created in collaboration with 2002, who are another award winning, Billboard charting music team of fame. 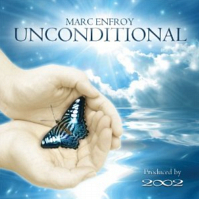 Marc’s 2011 new release titled Unconditional is an innovative Contemporary Instrumental release bound to be a success, and a newly born sound creation you are sure to love. 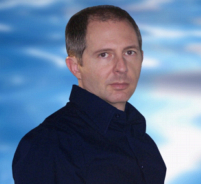 Unconditional is the third Cinematic Piano release from Marc Enfroy. When you hear the unification in styles with Randy and Pamela Copus of 2002, I am sure you will agree this album does deliver a unique array in piano and contemporary instrumentals. Already admired for their great inspiring melodies as individual artists, the recently unveiled blend of two unique styles into a single creation of beauty is exemplary. Marc Enfroy’s music career emerged after the death of his sister Suzanne Whiting to cancer, but it was from this profound loss his progressive music legacy arose. In loving memory of Suzanne, Marc found inspiration and proceeded to compose emotive music for the senses. Beginning anew, he composed colorful music like a painter would use brushstrokes to fill the empty spaces on white canvas. It didn’t take long for people to admire his celestial piano music and conclude Marc is a gifted pianist and true artisan. 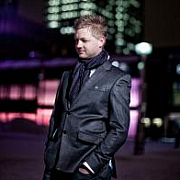 Unbounded was Marc Enfroy’s Solo Piano debut album which set the stage for his musical career. 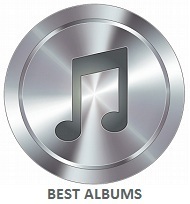 Unbounded had acquired Best Neo-Classical album award in the ZMR Lifestyle Music Awards in 2008, along with Best New Artist nomination. 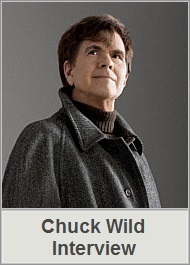 Awakening was the second vibrant collection of songs he produced. 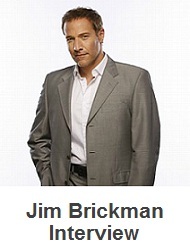 The classic piano orchestrations with Janet Sullins on violin, Jack Chen on flute, and vocals by Jillian Aversa earned Marc an award nomination, and aired on many popular Internet radio stations worldwide. Unconditional has 10 song classics of fine piano detailing expertly blended with flute, strings, bell tones and chorales, with admirable performances by Jack Chen on flute and Pamela Copus on vocals. Produced by Randy Copus of 2002, Marc Enfroy’s newly unveiled Unconditional is a passionate portraiture and beautiful exhibit empowered by design to take flight, in uplifting music made to celebrate life. Visit marcenfroy.com to sample / purchase or at his Amazon.com page. 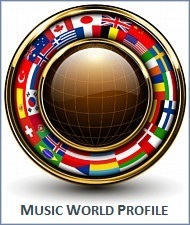 Read our page for Marc Enfroy, and visit the award winning Randy & Pamela Copus at 2002music.com. 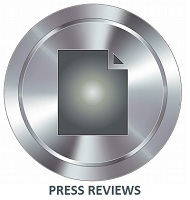 Below is my album review quote and promo video for Unconditional. When you unite the Cinematic Piano talents of award winning Marc Enfroy with the production abilities of Billboard-charting musicians 2002, the conclusive outcome is a work of music bound to be a success. When you unite the Cinematic Piano talents of award winning Marc Enfroy with the production abilities of Billboard-charting musicians 2002, the conclusive result is a work of music bound to be a success. Arriving with this creative transformation in contemporary instrumental music is the impression a new and innovative sound entity has just been born. Marc Enfroy has released his third Cinematic Piano album Unconditional, and the newly formed alliance with Randy and Pamela Copus of 2002 certainly does deliver a rather unique chord in piano and Contemporary Instrumental fanfare. Already admired for their singular inspiring melodies, the union of their two unique styles into one creation of beauty is exemplary. Marc Enfroy’s music career emerged after the death of his sister Suzanne Whiting to cancer, but it was from this profound loss his progressive music legacy arose. Finding his inspiration in memory of Suzanne, Marc proceeded to compose music for the senses just like a painter would use brushstrokes to fill in the empty spaces on white canvas, and as it turns out, Marc indeed has the gift of a true artisan. 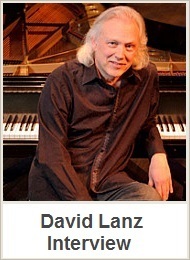 His Solo Piano debut Unbounded acquired Best Neo-Classical award in the ZMR Lifestyle Music Awards in 2008, and Best New Artist nomination. Awakening was the second colorful music portraiture, with classic orchestrations by Janet Sullins on violin, Jack Chen on flute, and vocals by Jillian Aversa. 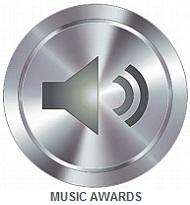 Awakening was also an award finalist which aired on many popular Internet radio stations worldwide. Unconditional will be unveiled to the public when released on March 1 2011. The 10 song classics display Contemporary Instrumental orchestrations and fine piano detailing expertly blended with flute, strings, bell tones and chorales, with admirable performances by Jack Chen on flute and Pamela Copus on vocals. If you are familiar with both Marc Enfroy and 2002, then you can imagine this new arrival in Cinematic Piano, Instrumental and celestial soundscapes is the ultimate music experience. While I can only speculate on the success of this, or any album, I can give you the assurance Unconditional is a passionate creation and absolute beauty that was empowered by design to take flight, in uplifting music made to celebrate life. Visit marcenfroy.com to sample / purchase or at his Amazon.com page. Visit Randy & Pamela Copus at 2002music.com. Cover art courtesy Marc Enfroy. I know for a fact many people who visit NewAgeMusicWorld.Com & NewAgeMusic.nu are presently, or have been a musician in an orchestra or choir at some point in their lives like myself and while the majority of us chose a direction other than the life of a musician, many of us can readily recall earlier days when we too pursued music with true passion. 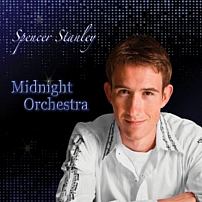 Kelly Andrew ( Kaveny ) from Denver Colorado may have begun his early career performing orchestra music like a lot of us but this is where the similarities end, and after you listen to the classic symphony music he has created the comparison will become even more noticeable. Kelly Andrew has made a successful impression by release of Olympus, an exciting debut complete with full orchestrations that boldly recreate a music symphony the majority of us had only dreamed of producing. Olympus is his New Age, Contemporary Instrumental, Symphonic release expertly joined with electronic and technological digital effects well suited for the Cinematic & Soundtrack fields of music. This Epic release is so perfectly aligned for movie scores by the full symphony sound it may inspire those with prior orchestra experience to snap open their instrument cases, prepare by tuning and begin practicing warm-up scales! Kelly Andrew is a classically trained composing pianist and may have released Olympus as his official first album but in fact Kelly Andrew is known for creating a much wider array of music with over 15 years of experience as a musician producing his original signature series of music, having composed, arranged, and produced over 35 original singles of which some songs were performed by the University of Colorado choir and more is planned for release in the near future. Olympus has some of the finest orchestrations I have heard recently and since the 12 tracks of classic symphonic music has contemporary instrumentals from every section backed by full percussion, I believe Olympus is a symphony that will stand the test of time. Those who have in the past or presently sing in a choir will admire the light chorales in Aphrodite that build momentum and crescendo with a full arrangement of brass and strings. Percussionist will recognize the full symphony complexity of Apollo, and like many songs the resounding rhythms by timpani drum with cymbal crashes on cue are the outline for a full brass section of French horns, trumpets and trombones evoking a majestic theme. 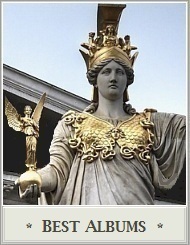 Hera is comparable by this vibrant transfer of stateliness except woodwinds take center stage by a warm melodic theme among brass refrains, and likewise with song Athena. 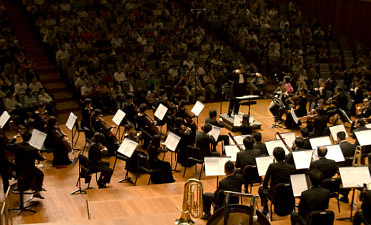 Demeter has a comprehensive orchestra setting with woodblock claves and many enhancements that inscribe bold accents to the entire symphonic atmosphere, so again those who have played percussion in the past should notice the chimes, triangles, and drums like timbales and congas create the excitement in this piece. Artemis is a great instrumental arrangement with a complete strings section of violins and cellos harmony before woodwinds join in a nicely united counter-melody. Soprano and tenor vocals impart a large amount of theatrics by chorus refrains which fashion an interesting contrast, especially when a full brass section of Flugelhorns, trumpets and trombones enter with rich solid tones. Hephaestus begins with a light strings segment before flutes, clarinet and additional woodwinds of oboe and piccolo supplement the song structure with breeziness while an elaborate choir enters during later measures. Poseidon is dramatic by the intensity and depth beginning with a choir during the early measures. Electric guitar runs are a clear distinction apart from the rest and although it may appear less customary in a symphonic atmosphere, the electric guitar lead create a grand opus with every well placed instrumental note blending together decisively. Olympus is a symphony of exceptional quality and true excitement. It really won’t matter whether you have prior experience for you to fully appreciate this release from Kelly Andrew, but for those who have played a musical instrument in an orchestra or sang in a choir expect to be reminded of an earlier time in life when playing music was your one true passion. 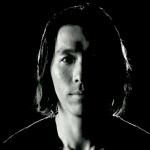 Visit the Kelly-Andrew.com website to sample or purchase Olympus or visit his CDBaby.com page. Find more about Olympus and other albums on my section dedicated to Kelly Andrew. 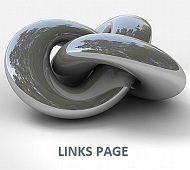 Picture Copyright BigStockPhoto – yuyang. Television media is an excellent source for documenting past historical events in retrospect and whether you are watching historic events unfold on the network news in your country or during a documentary, this opportunity to view the human triumphs along with the atrocities allows the viewer to reach their own conclusions for what they have witnessed. 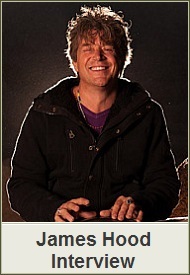 Jeff Woodall is a New Age musician, producer and composing songwriter living in the United Kingdom. The song video of My Isolation from his Chasing Shadows album becomes the media sensation that truly reflects the very best and the worst of past historic events in retrospect while inviting the viewer to draw their own conclusions. Indigenous is the 2010 release from Jeff Woodall who composes electronic music for television and library productions worldwide and I am almost certain this particular video is one of the more extraordinary works out of the many he has produced. 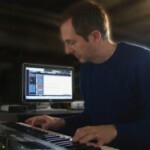 Regarding his New Age audio compositions, Jeff Woodall has written and produced 11 Electronic solo albums since 2002 and collaborated with easily recognized artists and composers like Belgian based Bryan El, another fine music talent I have written reviews on and had an interview with recently. Chasing Shadows is an earlier Electronic, Ambient and Chill Out release from Jeff Woodall, and like his prior albums Free Diving, Osmosis & Afterworld, are a relaxing and introspective indulgence into ambient New Age music that borders into Experimental realms at times. This YouTube video shows material of historical record and what is broadcast now and then during news programming here in the U.S. where I live, but does contain sensitive material so please be advised of the Strong Viewer Content Rating for this video. 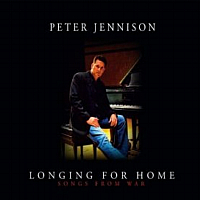 Below is the YouTube song video of My Isolation from the Chasing Shadows album by Jeff Woodall. Find albums and songs by Jeff Woodall at RealMusik.co.uk or visit his CDBaby.com page. 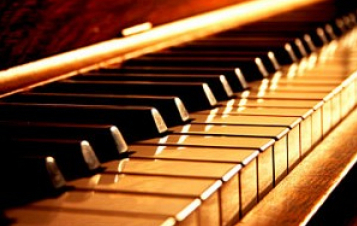 Today’s computer enhanced technology is amazing, and when skillful composing is combined with live performers and instrumentals, the resulting musical outcome can become a creation of natural beauty. Timothy Crane is an artist using a creative touch with the music technology of today by composing piano music and then intregrating key instrumentals along with orchestra effects that become full structured works of music he and his close friends enjoy creating. 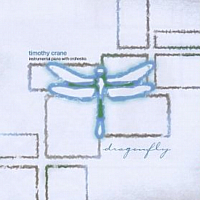 Dragonfly is the second release where Timothy plays a leading role as pianist and co-producer of his second album, along with Jason Rowsell who also played bass and mixing. Friends Rick Henly performs on guitar and percussion effects, while Ryan Day engineered and mixed the album. One last credit I don’t want to miss, Jason Rowsell’s young daughter has a cameo role by quietly laughing on cue during the beginning of song, A Child’s Goodnight. Dragonfly is where I discovered more natural forms of instrumentation become closely acquainted with an animated entity in 11 song classics. A few songs carry the rhythmic tones that might remind some of a highly recognized female artist at first glance, but I soon discovered every song is composed with a unique singular structuring in each melody belonging in a New Age, Piano, Contemporary Instrumental, Cinematic theme. Dragonfly indeed takes flight with first song 2×2. In a graceful piano based dance of the keys, a real beauty of a melody greatly captures your attention by the upper tempo modern rhythms. Well placed staccato notes from strings carry this steady motion while wonderful orchestration carries the appropriate rhythms that lead to a natural form of musical attraction. Sylvan Grove holds much of the same beauty by piano leading in an upbeat theme while horns and strings inscribe a smooth blend into another most positive melody. Higher octave piano notes in Star Cross Moon are the first gentle indications of a nice correlation in melodic shades, and when numerous major to minor key changes make a full emotional presence felt during refrains, the result is gratifying. 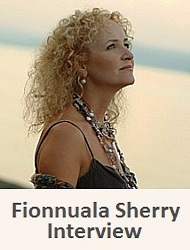 A Child’s Goodnight is a playful theme that soon matures in a full chord and heartfelt movement, while Salish Sunset in again, a more moderate tempo, along with light recollections in piano phrasing, join with oboe to impart warmer tones of orchestration to enhance the open atmosphere of splendor. 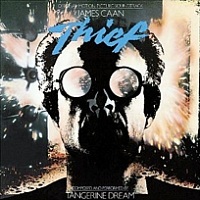 Theft in Eb Major has more of a classical thought in composition with major and minor chords extending vibrant hues while building momentum as the song progresses. The woodwinds warm breezy notes blend with background choral vocals to instill a more celestial feel with this song. Theme of Rachel Scott is another focal point where medium range keystrokes give way to lower chords feel of depth and richness, blending nicely with orchestration to become one exciting entity. Vasilissa the Beautiful entertains a most peaceful beginning only to be suddenly interrupted by an enthralling performance from piano, choir, and deep thunderous percussion, quickly taking flight as if suddenly startled from a comfortable resting place. 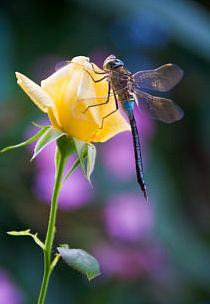 Title song Dragonfly is an impassioned piano solo signaling the finale of this lightly animated album, in a conclusion where I felt every colorful detail was closely examined while producing this incorporated album, becoming the perfect choice for many people desiring popular music creations having a natural attraction. Visit timothycrane.com website to sample / purchase. 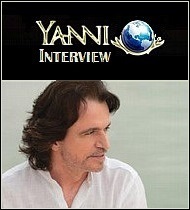 You can also visit his CDBaby.com pageor Amazon.com page. 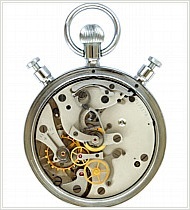 Picture Copyright Big Stock Photo – FOTOCROMO.